Some say she is ahead oft he curve, some simply suspect her to be from another world but I say, the designs from Tatjana Warnecke are just the top of the pops in our galaxy as well as in a far future and the today of the category of gothic and wave. 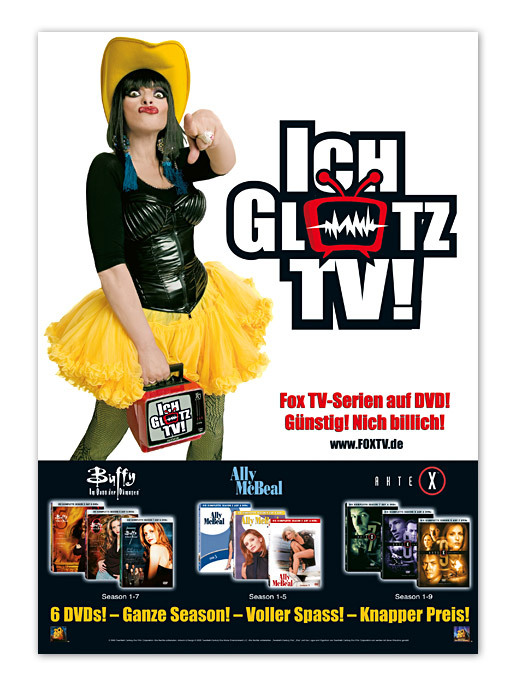 Of course, Tatjana Warnecke has many fans, for example at the WGT or in the fetish scene, where her fashion has already been a popular must-have for a long time, but I'm sure that it won't take long until the typically ripped designs upgrade the red carpets. Not only does Tatjana create body-tight pieces for female figures &ndash; also masculine aps make a good impression in the futuristically inspired designs. A visit of the creative home of Tatjana's Cosmic Couture in Berlin Kreuzberg took me on a true time travel. When today's time seemed far far away, wild nights were celebrated just next to her atelier. This well-known club with the completely futuristic interior used to be my second home and is a mile stone of Berlin's disco culture. That the historic vibes of this old pilgrimage place influence the creative flows of the designer is just pure speculation, but a possible explanation for her brilliantly ripped wrappings. But is also her personal career, e.g. her classical ballet career, and problems with using latex made her experiment with new materials and complete the typical rubber material perfectly. Elegant corsets and corsages, combined with pencil skirts,&nbsp; short hot pants or mini skirt will turn every woman into a dive. Everyone who is up for it can also wear the feeling of the movie classic "5th Element", combined with H.R. Giger "Alien" and make a clear statement for the intergalactic community.